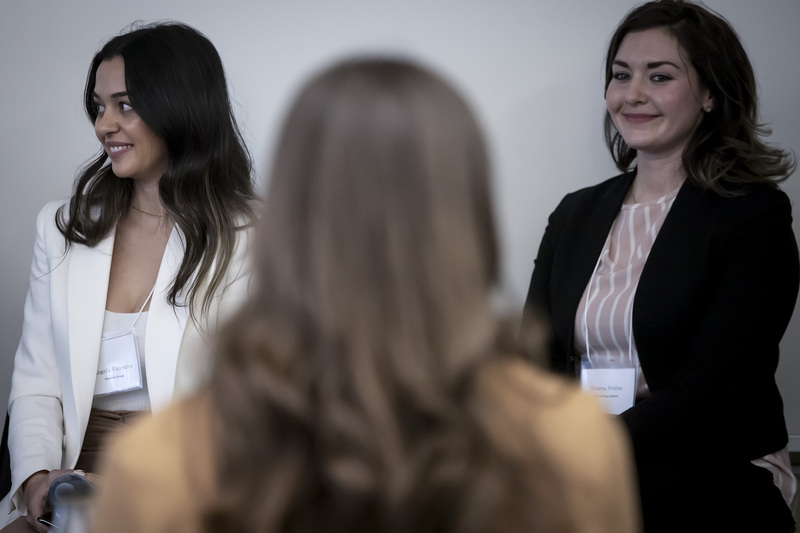 In recognition of International Women’s Day, the University of Guelph-Humber hosted its first ever Women in Business event on campus. The day began with a job fair, which gave students the opportunity to speak with potential employers in a variety of industries, followed by two inspiring and informative panel discussions with diverse female leaders. 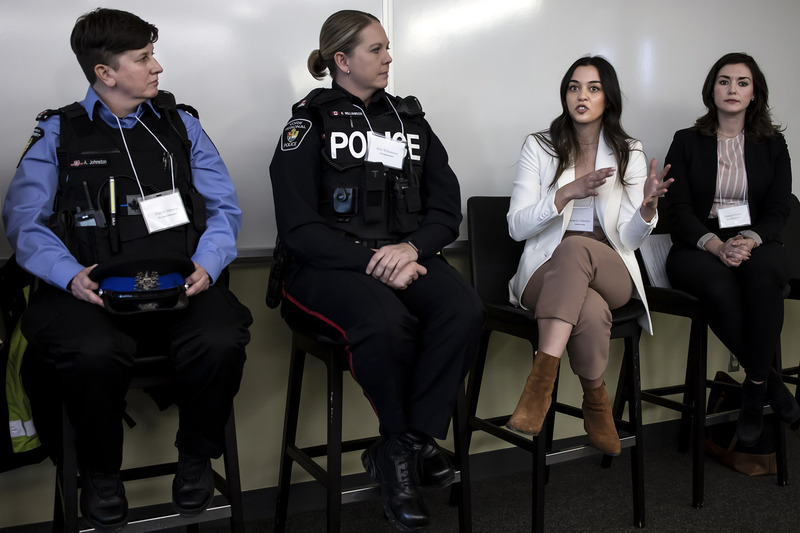 The panel included Sou Choi, Human Resources Director at Tiffany & Co.; Erin Williamson from York Regional Police; Angela Johnston, Special Constable at the Toronto Transit Commission; Reena Bhuchar, Job Developer and Group Facilitator at Rexdale Women’s Centre; Angela Valentini, founder of Valentini Group, a boutique digital marketing agency; and Shawna Freitas, Senior Account and Staffing Manager at XMC. The second panel, moderated by Patrizi, included Vasie Papadopoulos of RBH Inc.; Sarita Samaroo, principal lawyer and owner of SST Law Professional Corporation; Wendy Ford, Chief Financial Officer at Mancor Industries; Anne Lavrih, Newsroom Operations Lead and Today’s Parent Reporter for 680 News; Luisa Alvarez, Senior Coordinator of Festival Programming at the Toronto International Film Festival; Susan Wonch, Shift Supervisor/Sergeant with York Region Transit Enforcement and Security; and Anna Mancini, National Personal Training Director for Fitness on the Go. 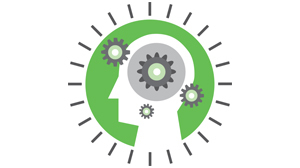 Patrizi says it’s an important time to promote women in business. “It’s a time in our culture where female empowerment and leadership is important, and we’ve seen that develop over time with things like International Women’s Day, and that’s how our event was aligned,” she says. “To be able to leverage the opportunity to speak to female leaders so directly from an experienced, professional lens was really powerful,” she says.